The first parent meeting of the year is always exciting for minor hockey coaches. It’s a chance to share our philosophies, our goals and our chosen methods for working with the players. The hype train is about to leave the station, so this meeting is the first and best chance to invite everyone on board. So, in light of my approach to these meetings, you can imagine my dismay when, about ten years ago, one particular meeting flew off the proverbial rails. It was a chilly Saturday morning and instead of being greeted with like-minded support, my coaching staff was immediately accosted with complaints about ice time and roles within the team – before the season started! “This happens every year,” my assistant coach said for everyone to hear, and I knew what was coming next. Like every early-season hockey meeting, this one began with the best intentions: to remind parents that we support them as stakeholders in their children and we plan on being transparent in our decisions, but we also needed them to be stakeholders in the team and support the collective group. Because, as we all know, not all of those decisions will work out. Part of the parents’ interference is understandable; they make the financial commitment, they devote time and energy and in some cases, they expect a return on their investment. But let’s stop right there. Just what is it, exactly, they think they’re investing in? Parent support is paramount. It’s what drives the attitudes of the players while they’re with the team. However, parent support is different than parent involvement. Being on the ice is the greatest reward a player can receive. That is, until parents let them believe they’re entitled to their ice time. It’s their property, and without it they’re less than human. A few weeks back I heard a story about a player in bantam hockey who got pulled off his regular spot on the powerplay, mostly because there were other players playing well who had earned a shot. This player was miserable. Instead of being happy for his teammates, his friends, his second family, he sulked, unable to understand the move. But hey, he’s a kid, right? This is where parent support enters the equation. But instead of support, the parents got involved. Instead of helping their son see the benefit in the success of others and reminding him to work harder on his own game, the emails and text messages began to flow. 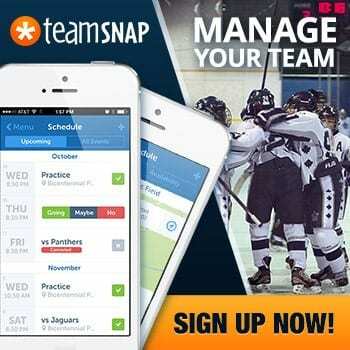 A veteran coach once told me that equal ice time and fair ice time is not the same thing. We try our best to give everybody an opportunity to earn their ice time, and usually it evens out. Sometimes it doesn’t. Distributing ice time fairly isn’t measured exclusively on minutes spent on the ice. That’s why hockey is a platform to learn life lessons; because in life, nothing is handed out without the investment of time or a little sweat equity. And even if that ice time doesn’t quite even out, it’s still a chance to be happy for the team and your teammates. Selfishness vs. selflessness: the lesson in all this. A lesson lost to this family forever. Did You Know That Coaches Make Mistake? The easiest place on Earth to coach from is the crowd. It’s easy to see the folly in specific decisions after the mistake has occurred. It’s a lot harder to see each unique possibility in your mind on the bench before committing to a choice. Mistakes happen. 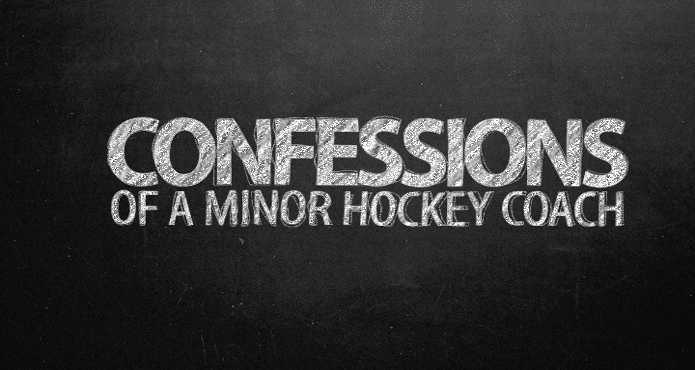 In atom hockey, in initiation and in junior hockey – mistakes happen. 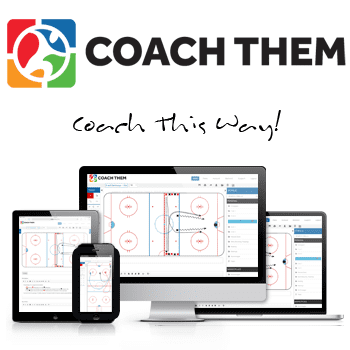 Coaches make critical errors in professional hockey, too. This is why we play the game, to try to outwit our opponents, but the other team is trying to win, too. The involved parent latches on to each mistake made by the coaches involving their child and they poke at it like a grizzly bear provoking an angry hornet’s nest. Do you know what it’s like to put a player on the ice for a crucial face-off, only to have them lose it and thus cost you a medal in a prestigious tournament? Because I do. And unfortunately I couldn’t see into the future in that moment. You can’t see the future either. Where we can all see, however, is into the past with crystal clear vision and a judgmental attitude. Coaches use that attitude to get better and learn. The involved parent uses that attitude to grant vindication to a child wronged. No matter what the circumstances might be during a game, be it a lack of sleep, injuries, preparation issues or plain old poor play, the coach is judged when things go wrong. Yes, we can see you throwing daggers with the deathstare across the rink when your child is removed from the ice. This is absolutely true, by the way. And the craziest part? This player received the second most ice time out of our entire forward group. He was our best player. As soon as he stopped breathing heavy, he went back out there. And all his teammates were happy because he helped the team win. So despite the victory, the minute he hopped in the car for the ride home, one kid was utterly robbed of the joy of the moment. The chance to forever be part of something greater than himself was taken away like a disallowed goal. Isn’t being part of something greater than the sum of its parts what hockey is all about? Isn’t it what all youth sports should be about? How Do We Judge Coaches? 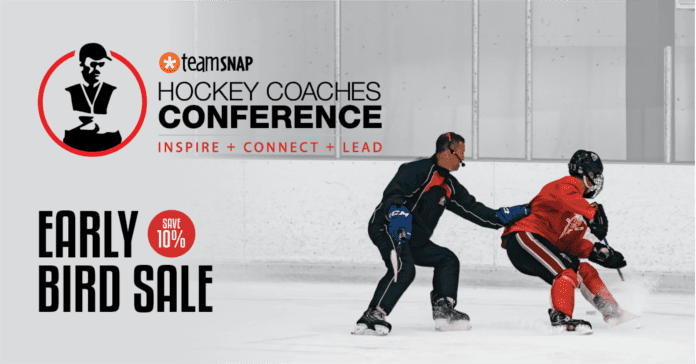 Put yourself in the coaches’ shoes. We’re responsible for the team, a collective of young athletes where the good of the many is placed above the good of the one. Despite that responsibility, the hockey world seems to grant humanity a license to throw logic and sense to the wind when things don’t go their way. Not every parent, of course. The vocal minority sure is loud though. Considering all that, how then, from the perspective of a professional coach, should we be judged? Hockey is as important to us as it is to you. We want to be judged by the experience of the players, whether or not they improve and if they want to return to the game next year. We crave autonomy without judgment, but we don’t (or at least we shouldn’t) require freedom from the consequences of our decisions. We’re not immune to criticism, but we’re still human beings. We need to make decisions with conviction and live with them, for good or ill. We want you to trust that we have your child’s best interests at heart, but your priority should still be to support the team first. And we’re part of the team too, right? So yeah, a high five or a handshake for a job well done here or there wouldn’t hurt. We coach minor hockey because of the memories it left with us and the impact hockey had on our formative years. It’s the most powerful game on Earth, and we owe the game to give back. Sometimes the vision of the coach will differ from that of the parent, and that’s fine. Hopefully it doesn’t interfere with the positive experience of the child. However, we all know that often it does interfere. I feel bad for those parents and their families. You only get a couple years to enjoy your child’s minor hockey experience, and you might miss out on what the game has to offer, this year and in the future. In any case, next year you’ll get a new coach, but your attitude? You’re stuck with that forever. Might as well make it a good one.